A husband and wife team bringing sustainably harvested salmon from the sea, to your table. Michael began commercial fishing in 2006 as a crew member on his cousin’s fishing boat. This experience on the water led him to a gillnetting season on his very own boat in 2012. After meeting Nelly, he began spending time between fishing seasons adventuring around the globe with her. These days when he’s not on the boat, you can usually find him working on VW vans or camping somewhere in the mountains. Nelly grew up in a fishing family and spent summers throughout high school and college working on the family boat in Alaska. Her love for a good meal and the story behind it has inspired her to continue living and working close to wild fisheries. Off the water, you can usually find her outside foraging for wild foods or exploring new places in their Volkswagen van. Our home is always by the water. 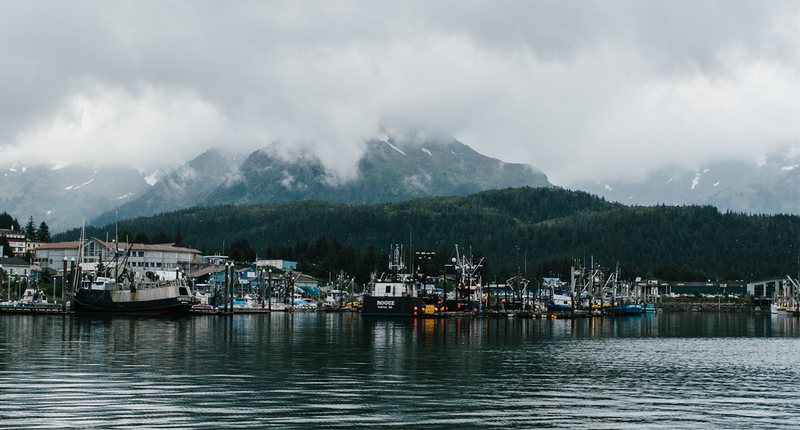 Find us in Cordova, Alaska during the summer months and on Guemes Island in the Puget Sound in the winter.